When it comes to longevity, Japanese women have the longest life expectancy on the planet at 86.8 years, according to the World Health Organization. In Okinawa, in the south, there are more centenarians than anywhere else in the world, and considering their age, they’re pretty healthy for it with a decline in age-related diseases in Japan having been measured. Globally, however, the average life expectancy for women is 73.8 years, so Japanese women must be doing something right, and the general consensus is that their diet plays a huge part in their longevity. A typical Japanese diet is low in saturated fat and high in nutrients that are antioxidant-rich. We took a look at Japan’s version of the Eatwell Guide and spoke to nutritionist Peter Cox (omniya.co.uk) to find out how we can eat more like Japanese women. Keep scrolling for the takeaway tips you need to digest. 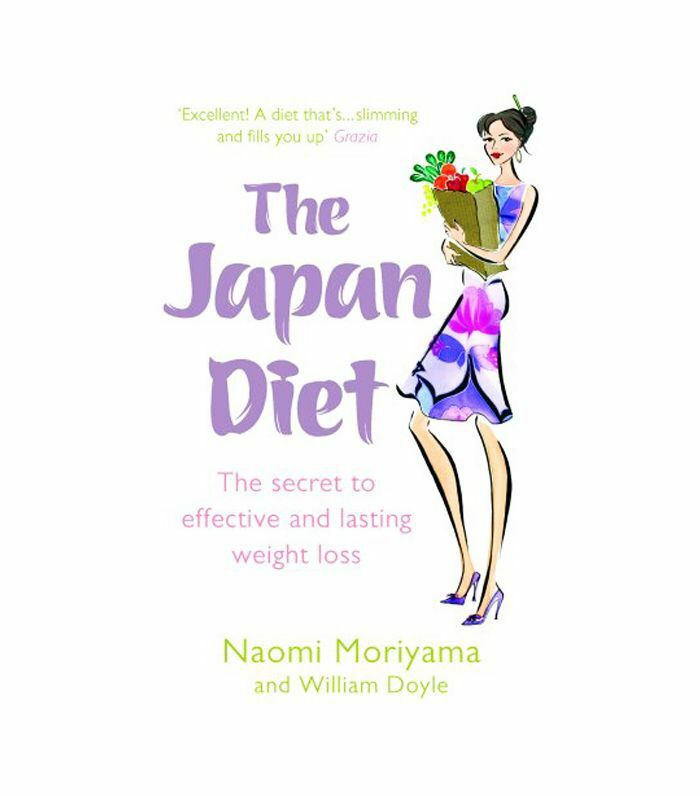 What sets the japanese diet apart? Much like here in the UK (we have the Eatwell Guide), over in Japan, the government developed the Japanese Food Guide Spinning Top, which was launched in 2005. The focus is put on grains and vegetables, closely followed by fish and meats. Interestingly, fruits and vegetables are split out, unlike our NHS-approved five-a-day. Milk and milk products sit right at the bottom with just two portions per day. Interestingly, you’ll notice that while the Spinning Top focuses on rice, bread, noodles and pasta, our Eatwell Guide includes cereal into the equivalent section. Our meat and fish section also includes beans and pulses, and fruit makes up a larger proportion. “The real advantages of this kind of diet are going to come from the low levels of saturated fat that’s being consumed,” says Cox. But on the whole both guides are fairly similar, so why are Japanese women healthier? Unlike here in the UK where we know we should take note of the Eatwell Guide, but we don’t really, over in Japan, a study by the BMJ found that Japanese people adhere to the Spinning Top guidelines. In fact, it contributed to a lower risk of cardiovascular disease. And it’s not just that they are eating healthy foods, but they’re not overeating them either. “In Japan, there is a culture of not overeating—the Japanese way tends to be that you eat until you’re 70 to 80% full. That’s really embedded in their culture,” adds Cox. Is a japanese diet all good? 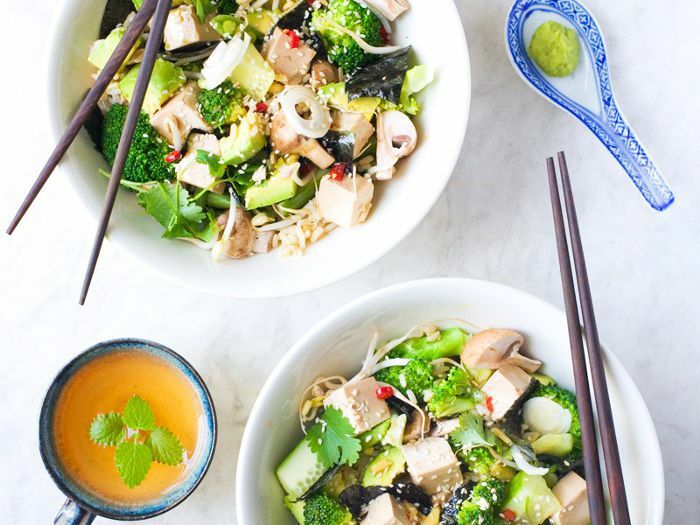 “A soy-rich diet will have its positives and negatives like most diets do, but I’d say the one thing to be careful of here is eating a lot of pickled vegetables and pickled foods, as there are some links to gastro cancers with this,” says Cox. “Theoretically, it’s a good idea to take the positives of a diet like this, and then see how you can fuse them with what’s good for you to eat, and what works for you—a fusion diet, of sorts,” he adds.